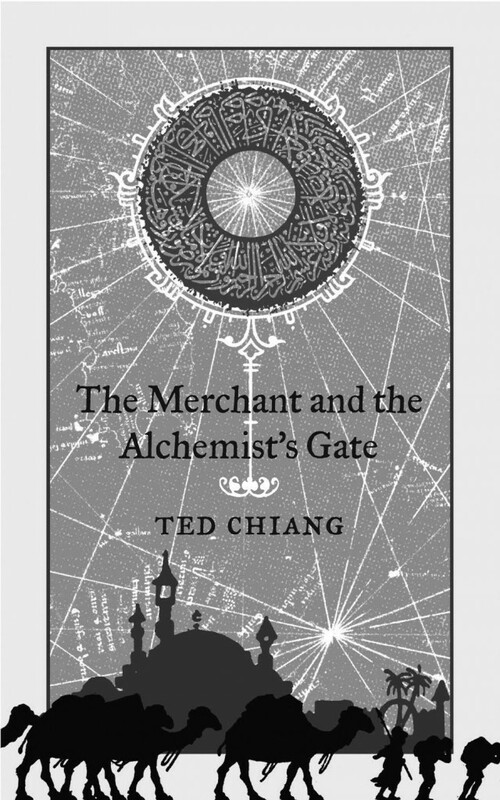 American Science Fiction writer Ted Chiang is perhaps the antithesis to the prolific writer figure – having published only 14 short stories and novellas in his career thus far. But almost each time he’s unleashed a story upon the world with his peculiar kind of storytelling, which adapts itself according to the perspective it’s favourable to and pulls you in with its narrative power of immediacy, he’s won an award. All the SF glory possible – from the Nebulas to the Hugos – has been his, and yet he wears it all lightly. Papercuts presents a three-way conversation between Reportage Editor Pooja Pande, award-winning SF writer & long-time friend of DWL Usman T Malik and Ted Chiang, about all the folklore that lives within Science Fiction, the progressive storyline, and that writer’s quote that could change your life. He also tells us why the dumb phone wasn’t such a bad piece of technology, after all. Pooja Pande (PP): What was the first story that you ever read, or writer you encountered, that made an impression on you? Usman T Malik (UTM): Or that made you want to be a writer? 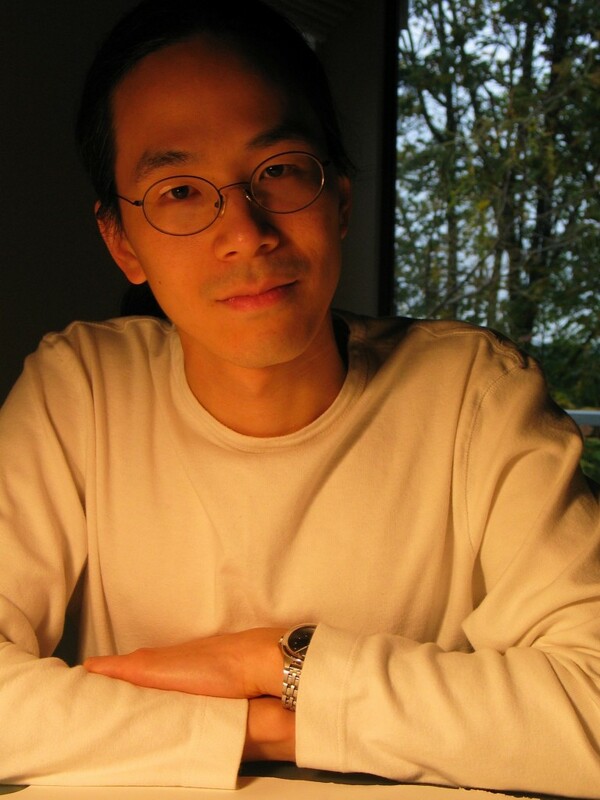 Ted Chiang (TC): Isaac Asimov. His work had an enormous influence on me. Reading his Foundation trilogy and his Robot stories; actually, I read a lot of his work when I was about 12. That was around the time I decided that I wanted to become a science fiction writer and his work definitely had a big role in that. PP: You are very careful about which ideas you work with, for stories… How do you sift through the ideas and decide that this is the one you want to write about? TC: The ideas I wind up turning into stories are the ones I have been thinking about for a very long time. If I find that I keep thinking about an idea over months, or years, that’s an indicator to me that this is something I want to write about. Because a lot of ideas come to me and then they leave before too long, the ideas that I keep returning to over a long period of time, those are the ones that have some hold over me. So then I start thinking about them in a more systematic manner and try and generate a story idea from that. PP: Could you give us an example of an idea that you kept returning to and how you had to finally write it? TC: I have a recent story The Truth of Fact, the Truth of Feeling which is about some of the implications of having a complete video record of your entire life. The idea of recording every moment of your life is one that I first heard suggested in a presentation more than 15 years ago. At the time it was completely impractical; back then very few people had a gigabyte of hard disk space. But I knew that technology would inevitably advance, and at some point we’d be capable of storing a permanent record of everything you said or did. And it was clear to me that it would have significant psychological repercussions, although I didn’t know what they were. Years went by and data storage became cheaper, and every once in a while I would think, we’re getting closer and closer to complete video recording becoming a reality, and I’d wonder about the implications some more. So that was an idea that I’d been thinking about on and off for many years. But I’ll tell you what really helped me figure out that story. I was reading something about the introduction of the written word on oral cultures, and I saw a parallel between the impact that the written word had and what I imagined the impact of this complete video recording technology would have. It was seeing that parallel that was the most direct prompt for me starting to write the story. UTM: Do you try writing a story from different points of view and then choose one? I’m thinking particularly about Story of Your Life and am curious, as a writer, about how you deal with the mechanics of a story like that. TC: For Story of Your Life, I pretty much knew immediately what the point of view had to be. I think that a first person point of view was the only way to convey what I was trying to convey in that story. I do think that choosing the right point of view is an important part of figuring out a story and I usually have to figure out who is the right person to tell the story before I do any writing. So I don’t generally try writing it from different points of view, I usually have to figure that out before I can even start writing. PP: Ted, there are a lot of qualms around being identified as a science fiction writer, though you have never had any reservations about it. Why do you think it is so and how do you respond to that? TC: It is definitely true that there has historically been a stigma associated with being a science fiction writer. People automatically assume that science fiction is very frivolous, or incapable of dealing with serious issues. I think a lot of people’s notion of science fiction is formed by Hollywood movies, when, really, most of Hollywood science fiction movies are terrible examples of science fiction. So a lot of people have a profound misconception of science fiction because of that. I like science fiction because it lets you dramatize philosophical questions. Whenever you create a thought experiment to explore some philosophical question, you are almost inevitably engaging in a science-fictional mode of thinking. I also think that science fiction lets you use science as a way of understanding human experience. And I think that in that respect, science fiction is particularly relevant to the modern age because we live in a time in which having some understanding of science is more important than at any previous point in history. Some people have said that a genre is an ongoing conversation between authors and novels. By that definition, I definitely feel like I am part of the science fiction genre, because it is science fiction works that I feel like my work is in dialogue with. And that is why I don’t want to give up the science fiction label, because it is science fiction writers who are addressing the questions that I want to investigate, and their conversation is the one that I want to be a part of. So yes, while there’s definitely a stigma attached to being a science fiction writer, I suppose I don’t care enough to try and avoid the label, because I think my work sits squarely within science fiction, and it’s a community that I’m very happy to be a part of. Also, science fiction has often been called the literature of change, and I think that this is something that, again, makes it especially relevant today. 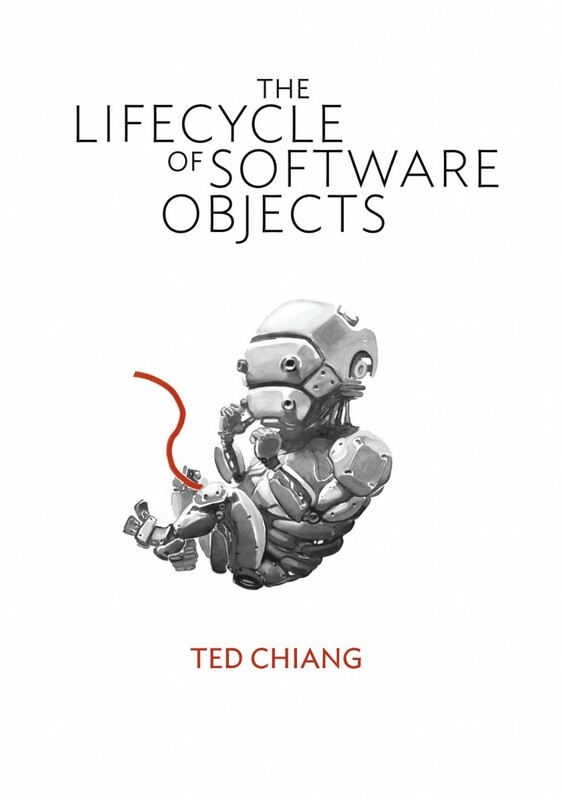 PP: How do you interpret that, Ted – the literature of change? TC: There’s a very traditional type of story that you find in lots of different genres. It’s a sort of a “good versus evil” story. So in this pattern, evil intrudes, good and evil fight, good is victorious. Then the world goes back to being a good place. Order is restored. A lot of people have observed that this story pattern is inherently conservative, because it is all about restoring the status quo. It assumes that before evil intruded, the world was a good place, and that going back there is a worthwhile goal. Good science fiction follows a different pattern. In good science fiction, the world starts out familiar, some new technology is introduced, and it brings about change – both positive and negative. It can be threatening in many ways. But then at the end of the story, there is no restoration of the status quo. The story ends in a different world from which it began. You are in a world where everyone has to adapt in the presence of this new technology. So if the “good versus evil” storyline is a conservative story, then this storyline is a progressive one, because it is all about the inevitability of change. It’s about accepting that change is going to happen and that we will have to deal with the consequences, positive and negative. This is one of the things good science fiction does. This type of story is particularly relevant today because we live in a world undergoing constant change, and science fiction helps us prepare for that, cognitively. UTM: This is hugely interesting, because there’s a big debate going on in the horror community around this. They’ve been arguing about the idea of horror – whether it is by itself, a conservative genre, or whether mainstream writers have made it a conservative genre. We’re seeing writers like Clive Barker, who have consistently pushed horror in a way that at the end of the story, your protagonist, or the society – they are not the same anymore. It’s not like The Shining where you set fire to the hotel and everything is fine, this change stays with us. I also wonder if horror works more on a personal/psychological level and science fiction on a more societal one. TC: I would agree that science fiction is usually addressing, either explicitly or implicitly, societal change more than individual or personal change, at least in the context we’re talking about, of the progressive storyline. I don’t know enough about horror to really address the discussion that you’re talking about, Usman, but I think one of the distinctions between science fiction and horror is that science fiction assumes a mechanistic universe – a universe that is essentially impersonal – and it doesn’t regard that as a bad thing. Because part of the modern scientific worldview is that the universe is mechanistic, and if you think of science as a good thing, then you’re probably okay with that way of understanding the universe. I feel that horror has a subtext that the universe is either actively malign or antithetical to humanity. There is either some underlying malice, or some fundamental incompatibility between humanity and the broader universe. So a confrontation with the ultimate reality or profound truth is terrible as a result. PP: Ted, to go back to the stigma associated with science fiction when you mentioned Hollywood being the culprit in some ways – now that would be a more recent phenomenon, whereas science fiction has always grappled with not being considered ‘literature’? TC: I think in the past, a lot of the stigma came from social and historical factors surrounding where science fiction originated and where it was published. It was mostly published in cheap disreputable magazines – those magazines had garish covers and they featured a lot of stories about grotesque aliens molesting human women. There was a lot of lowest common denominator fiction published in those magazines, and so a lot of people assumed that all science fiction was necessarily like that. There’s a common psychological stereotyping mechanism where people attribute the characteristics of the worst examples to an entire group. Also, science fiction is identified by certain aspects of its contents: If a story includes speculative or fantastic elements, people assume they know what kind of story it is, which is not really the case for mainstream fiction. No one assumes that John Updike and Sydney Sheldon are writing the same kind of fiction. But people will assume that all science fiction writers are writing the same kind of fiction, simply because of the presence of some speculative elements in their work. They are not, in general, willing to look more closely and identify any other distinguishing factors. PP: Ted, you tend to de-mystify the writing process – I read this in an interview where you spoke about how you know exactly where your story is going, and that if your character doesn’t behave, so to speak, then you revise the personality of the character in a way that suits your design. Do elaborate. TC: Well, with regard to the question of characters acting on their own and taking over the story, or the story going in a direction by itself that the writer really isn’t in control of… I suppose another way to view that is to consider how much of the process of creation is happening on the subconscious level or the conscious level. I’d say that for writers who feel like their characters come to life and take over, it may be that a lot of their creative process is happening on a subconscious level. Whereas writers who plan everything out and can make the characters do what they want, their creative process is happening primarily on a conscious level. Obviously there’s a spectrum, but I would place myself toward the more conscious end of the spectrum. And yes, I think, for the most part, I’m in control. UTM: Chip Delany wrote something about this, something to the effect of how there are writers who are always in control of their work and then there are writers who are more on the fly, and how in his experience, both processes are equally valid. Either can produce gems and either can produce crappy work. PP: I’m curious to understand your personal relationship with technology. Do you take to new technologies very naturally? TC: It’s probably safe to say I have mixed feelings about technology. Part of me definitely loves technology, but for many years I’ve been conscious of the extraordinarily rapid obsolescence that we see with modern technology. Nowadays a lot of people replace their cell phone every year, or every two years. Your cell phone, you know, is a full-fledged computer, and not long ago the idea of replacing a perfectly functional computer every year or two was absurd. In the past, people would keep a television for 10, maybe 20 years. Your old television worked quite well and when you got rid of it, it was actually because it failed. Computers that are five or 10 years old – most of them work just fine, but [the technology] just becomes obsolete and we no longer use it. So this trend of having these incredible pieces of technology that are almost disposable now – it’s a trend I’m not happy about. That’s one of the reasons why I’m not an early adopter of a lot of technology I think, and I guess I am somewhat resistant to a lot of new technology in my personal life too, simply because the more you are an early adopter, the sooner you are on a treadmill of constantly replacing, constantly throwing out perfectly good technology. PP: That’s very interesting. When was the last time you got a new phone? TC: Well, I bought my first smartphone at the beginning of this year. Prior to that, I had a dumb phone, or a feature phone, which I got in 2007. PP: What advice would you give to aspiring writers of any genre, but particularly SF? TC: I don’t know if I have any particularly useful advice that I could say pithily. UTM: Ted does give very good advice, he’s being very modest now. He gave our class, especially me, the best advice that I’ve ever received and that was the quote that he used from Annie Dillard. TC: Ah yes, from an essay in The New York Times. Why don’t you tell the story, Usman? UTM: Well, she wrote something to the effect of how as writers we find some stuff interesting that other people don’t and when we try to learn more about it, it’s hard to find it in books and it’s hard to find it in books because no one has really written about it and that’s where you begin. It’s one of my favourite lines and I read that essay several times after that. And the line was ‘You (writers) have been sent here to give voice to your own astonishment.’ That’s what Ted made his motto and it helped us try to understand what we were trying to do. PP: What does it mean for you, Ted? TC: For me, it is about identifying the things that you find interesting that no one else finds interesting. That’s one way to view your job as a writer: It’s to tell stories that no one else is going to tell unless you do. I feel like there are a lot of stories that we read that anyone could have told. There are books that you read, or movies or TV you watch, and you feel almost anyone could have written them. UTM: Ted, I’d like to ask you about the so-called distinction that’s made between science fiction dealing with pure, hard science and what some people disparagingly call “soft science fiction” that deals with socio-political issues – questions of culture, gender, identity, and race. Do you see the latter as integral to science fiction? TC: I think they are definitely appropriate topics for science fiction to address. Let me return again to what I was saying earlier about science fiction as the literature of change. Science fiction is one of the ways in which we can imagine a world different from the world we currently live in. That is something which was almost impossible for large spans of human history. People could not imagine a world substantially different from the one that they saw, because change happened so slowly that most people did not see it take place within their lifetimes. Nowadays, you see change happening very, very rapidly. And imagining a world different from the one that we currently live in can include all of those issues – issues of culture, race, and sexuality. Can we imagine a society that differs along those axes from the world in which we live in right now? That’s a fundamentally science fiction question. So I think that that is just as much a part of science fiction, and a subject suitable for science fiction investigation, as interstellar exploration or more traditional technological extrapolation. In fact, I think there is some utility in talking about the different things that science fiction does, or the different things that works of science fiction are doing. Science fiction is a big tent – it covers a lot of different types of fictional undertaking. We can acknowledge that there are different types of thought experiments going on without saying that only some of them are science fiction. It can be called science fiction, and it can still be meaningful to point out the different concerns of different writers. PP: Ted, could you tell us what the awards mean to you, as a writer? And for the genre, going back to our discussion about the stigma around it, how it’s not considered serious literature – do awards help with abetting some of that? TC: It’s always nice to be nominated and it’s always nice to win. But winning awards has never been a specific goal of mine. It is always gratifying to know that there are people who like your work, and awards are one way of finding that out, but they’re not the only way, and they’re not the most important way. As for the second part of that question, there’s very little work that’s been published as science fiction that has won awards outside of science fiction. I think that if we started to see works published as science fiction winning awards outside of science fiction, then that would be a remarkable indicator of the acceptance of science fiction in the broader literary world. There are certain award-wining books with speculative elements in them – those books are usually not considered science fiction or fantasy, but literary works that are using speculative elements. They’re not considered part of the genre and they’ve always been by writers who have a literary pedigree and do not have any associations with traditional science fiction. It’s almost as if writers who have a legit literary pedigree can use speculative elements in their fiction, and there’s no stigma attached to that. But if you have a genre pedigree, it’s hard to escape. In the past this was why, for example, Kurt Vonnegut denied that he was ever a science fiction writer. He did not want the stigma. Although genre boundaries are becoming much more porous these days, I think they still exist. And there have been mainstream literary writers who have got a lot of praise for using speculative elements in their works. They’re praised for being really bold and innovative, because in the world of mainstream literary discourse, genres like science fiction don’t count. They don’t serve as meaningful precedents. So a mainstream writer using speculative elements can receive praise like “No one else has ever tried this before!” But what they really mean is that no one who counts has done this before. TC: I have no idea if that will affect the literary versus genre distinction that currently exists in English language publishing, but on a related topic, this year’s Hugo-winning novel is called The Three-Body Problem, and it’s translated from the Chinese. And it’s an interesting book because, while in some ways it is a recognizable type of science fiction, there are also a lot of ways in which it is clearly not part of the American science fiction tradition. And I know a number of readers who had a lot of difficulty with the novel because of how foreign it seemed. It does not read like it was written in English. So we may be seeing more translated works being in the science fiction and fantasy fields in the future, and that will probably expand readers’ notion of what a science fiction story is: what it ought to look like, what it can look like. I can definitely see that happening, but I see that as something that could happen purely within the genre, so I’m not sure whether that will have any effect on the question of literary versus genre. 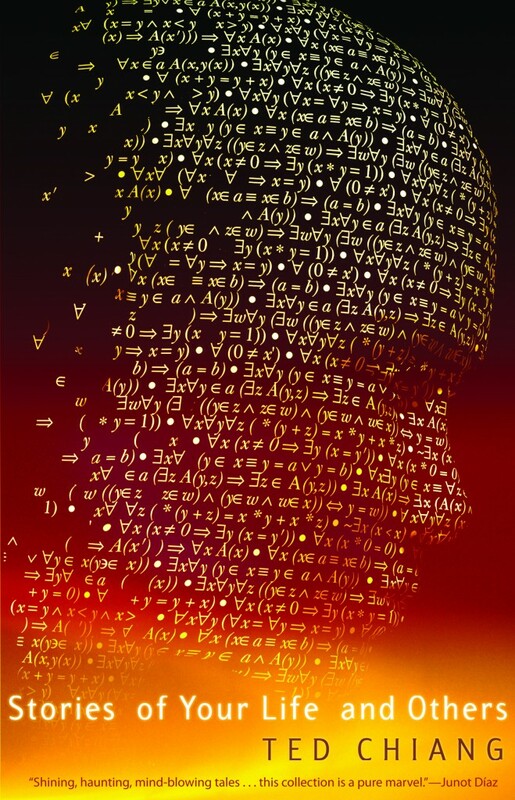 UTM: At the recent Nebula Award weekend, Gary Wolfe was talking about short fiction writers and he said if Ted Chiang publishes a novel, everyone would be very excited. Ted, do you have any plans? TC: No, I have no plans. PP: What is it about the short story format that you find yourself so drawn to? TC: I think that the ideas that I get are ones that are best treated at shorter lengths. If I got an idea which I thought required the novel to address, then I would try writing a novel.